WASHINGTON – The number of Arizonans using disability license plates and placards has grown by almost 70 percent in the past 12 years – more than double the rate of growth for passenger and commercial vehicle registrations. Close to 600,000 vehicles carried disability plates and placards out of just under 4.2 million vehicles registered in the state at the end of fiscal 2014, according to data provided by the Arizona Department of Transportation. Advocates said the rising number of such plates was not surprising, given the large number of seniors living in Arizona and the relatively large number of people with disabilities who are attracted by the Valley’s warm weather, flat terrain and accessible buildings. “Seniors (are) recognizing how beneficial it is to them to get a placard so that it helps with their mobility issues when they’re going out into the community and whatnot,” said Phil Pangrazio, president and CEO of the Arizona Bridge to Independent Living. Helena Berger, acting president and CEO of the American Association of People with Disabilities, agreed. “It just sounds reasonable” that a state like Arizona would see an increase in disability license plates and placards “based on an aging population,” Berger said. But Arizona doesn’t only attract the elderly – it has also become a mecca for people with disabilities, mainly because of its accessibility. 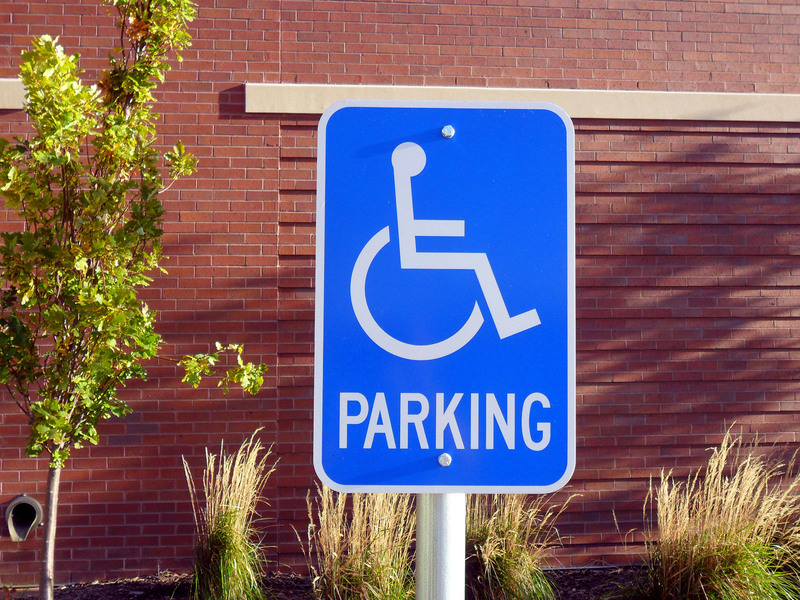 The Americans with Disabilities Act – which included the first formal establishment of disability parking – also mandated that buildings be constructed with certain accessibility requirements after it was signed into law in July 1990. Since Phoenix’s big development boom didn’t happen until the 1990s, most of the region’s buildings were designed to be accessible. That was enough to lure Tony DiRienzi from Philadelphia in 1996. After 44 years of using braces and crutches to navigate the difficult Pennsylvania terrain, he decided it was time to start looking for a “brand new” and more accessible city when he transitioned to a power wheelchair. “Accessibility has not been a major issue for me from a wheelchair perspective, because the ADA has made quite a significant difference in the way buildings are constructed,” DiRienzi said. Pangrazio, a quadriplegic, echoed DiRienzi’s sentiments. He moved from New York to attend Arizona State University – and escape the winter weather. The total number of disability license plates and placards, both temporary and permanent, rose from 351,469 in fiscal 2002 to 597,321 in fiscal 2014, according to the Arizona Department of Transportation data. In that same period, they went from accounting for 11.2 percent of the total number of registered passenger and commercial vehicles to 14.2 percent. While there may be abuses, Pangrazio said he does not think that the growth in disability plates and placards represents people trying to scam the system. One reason is that the process to get a disability plate is time-consuming, and the Arizona Department of Transportation “governs that pretty darn strongly,” he said. 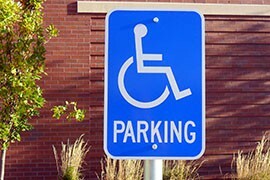 Pangrazio said that if people are going to abuse parking privileges for the disabled, they are likely to do it in other ways – borrowing a grandparent’s placard so they can park in a closer spot, for example. “We’ve all seen stuff that looks a little peculiar, but I think that’s a pretty small minority,” Pangrazio said. He warned against assuming that someone may be undeserving of a disabled parking space, however, just because it doesn’t look like that person has a disability. “There are invisible disabilities that you wouldn’t know that they have, some sort of leg or back injury or whatnot, so you can’t tell,” Pangrazio said. Instead, Pangrazio said the growth could show that the large – and growing – numbers of the elderly and people with disabilities in Arizona have come to realize the importance of taking advantage of parking assistance. “It’s an acknowledgement, a recognition, that this is something that people really benefit from,” he said. The number of disability parking placards and license plates in Arizona has risen at a reate twice as fast as the increase in overall vehicle registrations in the past 12 years. But advocates say they are not surprised, given the state's population.